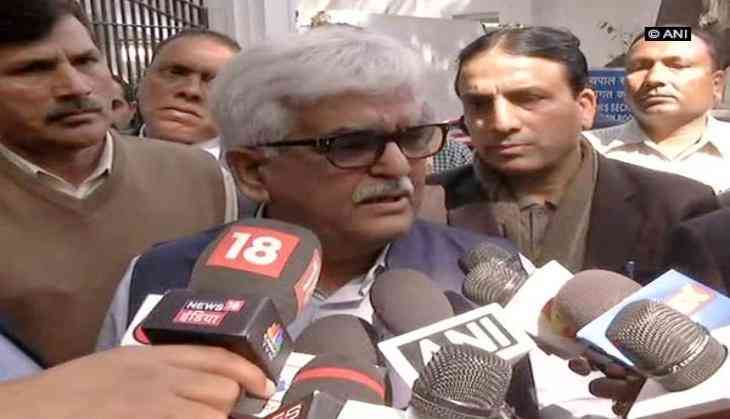 The Delhi Administrative Subordinate Services president on Tuesday said they are going on a strike immediately against the alleged mishandling of Chief Secretary Anshu Prakash by two AAP MLAs. "We are going on a strike with immediate effect, we are with our Chief Secretary until they (AAP MLAs) are not arrested we will not get back (to work)," said Delhi Administrative Subordinate Services president DN Singh here. He also said that they have urged Lieutenant Governor Anil Baijal to take legal action against those responsible for the attack. "We have urged the Lieutenant Governor to take legal action against those responsible. This is like a constitutional crisis, never seen such a thing happen in the past many years," said Singh. For the unversed, the Delhi Chief Secretary has alleged that he was manhandled and abused at Chief Minister Arvind Kejriwal's residence by two lawmakers of the ruling Aam Aadmi Party (AAP) late last night. Prakash has alleged that he was attacked in the presence of the Chief Minister after being summoned for discussions on Aadhar-related problems. Meanwhile, AAP in an official statement clarified its stance saying that a meeting was held at the Chief Minister's residence regarding Aadhar related problems. "About 2.5 lakh families deprived of rations last month due to faulty implementation of Aadhar. MLAs were under tremendous pressure from the public. There was a meeting of MLAs at CM residence," said an official statement by the AAP. The statement further said that the Chief Secretary refused to answer questions saying that he "wasn't answerable to MLAs and the chief minister" but only to the Lieutenant Governor. "He used bad language against some MLAs and left without answering any questions. Now he's making ludicrous allegations," the statement added.